Is Microsoft still planning to build its own phone? Project Pink - will we see a Sharp-Microsoft mobile? Zune phone - when will the rumours die? WHEN? Microsoft could be releasing its own branded mobile phone with Sharp, despite frequently stating it wasn't going to get into the hardware game. Project Pink - Microsoft's rumoured platform / Zune-phone effort - has been theorised about for a number of months, but it's still unclear what it will actually culminate in. But 9to5mac.com has stated Microsoft will release not one, but two new phones in 2010 based on the development. One will apparently be a rounded device with a slide out QWERTY keyboard (a lot like the Sidekick range that the US goes gaga for) and the other will be a more traditional candybar design, with both using a Microsoft application portal. 9to5Mac.com has apparently been sent product pictures of the new devices, which if published would lend a lot of substance to these rumours, so we'll have to wait and see if that happens. 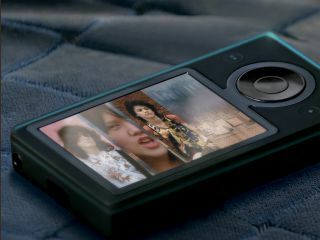 The first round of Zune rumours came from a mobile phone chassis spec Microsoft sent round to its OEM hardware partners to help make sure the basis specs for the high power versions of Windows Mobile were met. But this led to some thinking that this meant a Microsoft phone was in the works, which Microsoft has since clarified. Project Pink is rumoured to be the result of Microsoft's efforts to integrate Danger, the social networking and media platform it bought last year, although it's slightly confusing how MS plans to integrate it with Windows Mobile as it's technically already a self contained platform. Which is why the rumours of a Zune phone have never really gone away, as Microsoft delivering its own hardware, possibly aimed more at the 'consumer' end of the market to avoid collision with Windows Mobile handsets, seems plausible. But given Windows Mobile has been made a lot more consumer friendly in the recent 6.5 release it would still be a little cannibalistic to release another platform. Which leads the theorists to think that a Danger-integrated version of Windows Mobile, likely the new WM7 release, makes the most sense for the possible new hardware. And Danger has frequently used Sharp for its hardware platform of choice in previous handsets, leading to more rumours that it will be a Microsoft and Sharp partnership for the possible handsets, which have apparently been given the codenames Turtle and Pure. We'll wait something that resembles official confirmation before deciding about this rumour, but the possibility of a phone that works across the Zune / Xbox / Windows 7 platforms would a) be something Microsoft would love with its new Windows Phone ethos and b) be slightly awesome.